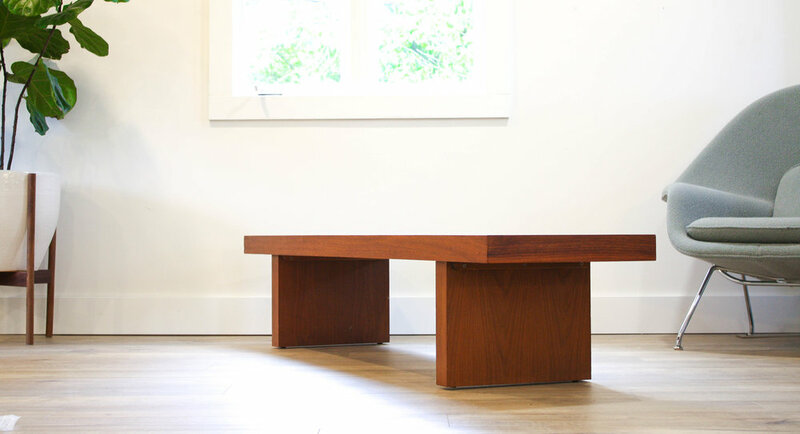 Check out this incredible, parsons style, vintage, walnut bench. Simple, clean lines are what this stunner is all about. And I mean, seriously, check out the amazing grain patterns and rich color of the walnut. 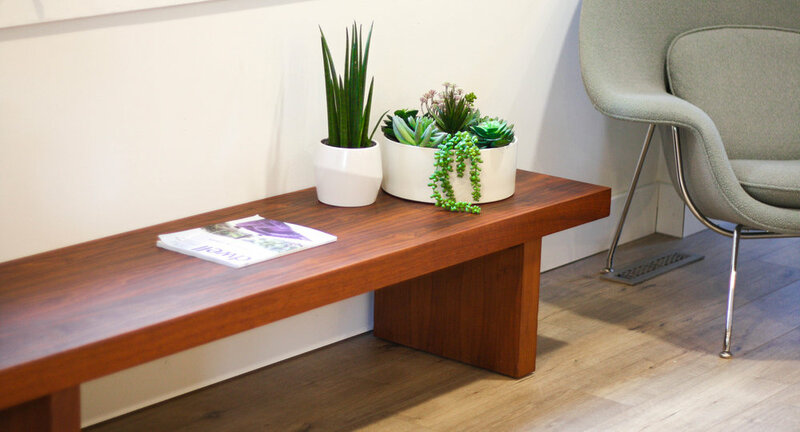 This bench shows incredibly well and will provide the perfect space for your plant babies, or some extra seating when you have company over.